With more Olympic qualifiers than ever before at the Lima 2019 Pan American Games, athletes from Team USA are training hard to defend their overall title from Toronto 2015. New U.S. Olympic Committee CEO Sarah Hirshland says the NOC is also working hard to prepare their athletes for these Games and are excited about the possibilities that await in the Peruvian capital this July. 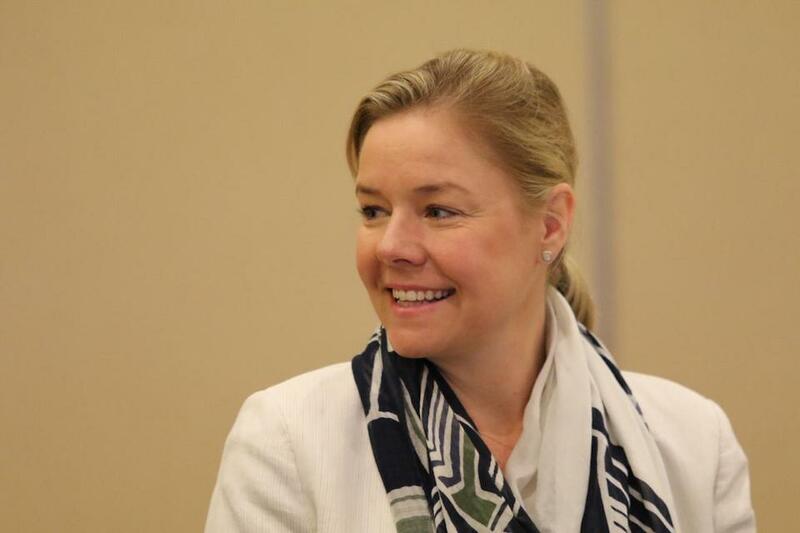 She joined Panam Sports for the Commission and Executive Committee meetings in Costa Rica to chat about Team USA’s expectations for Lima 2019 and her priorities as the new President of the Panam Sports Marketing Commission and new CEO of Team USA. “I think the first priority is making sure we keep our focus on our mission and our promise to the athletes that we serve, giving them all the tools and resources they need to be successful in their athletic pursuits. Particularly right now, there’s a real focus on making sure everybody is prepared and has the right experience as we’re leading into the Pan American and Parapan American Games, and we’re excited about that,” Hirshland said in an exclusive interview. Hirshland took over as the CEO of the U.S. Olympic Committee in August 2018. Now more than seven months into this new role, she is focused on prioritizing the needs of the athletes on the road to Lima 2019 and Tokyo 2020. Not only will Sarah be attending her first Pan American Games as an Olympic leader, she says she will also attend the Parapan Am Games that take place from August 23 to September 1. “The equity among the Paralympics is a huge priority, and it’s something that we are really gaining some traction and some steam in the U.S. around, so it will be a priority for me. Hirshland also became the President of the Panam Sports Marketing Commission to begin 2019. With a career spent building brands and cultivating business relationships, Sarah is perfectly suited to help Panam Sports grow its own brand. While in Costa Rica presiding over the Marketing Commission, Hirshland also sat in on the first day of the Executive Committee meeting. She says these meetings are integral to the development of sport throughout the continent. “It’s a really important opportunity for leaders and those who are representing so many disparate countries to come together and talk about the future of these intercontinental competitions, and the merits of them. The benefits and the experiences we are providing and the outcomes they leave in different communities, and making sure we stay focused on that, is important,” she says. “I would just say it’s been wonderful to be here in Costa Rica and it’s been really nice of the Costa Rican NOC to host us,” Hirshland concluded. Valentín Gomez Farias #51 Col.